The much anticipated arrival of the sequel to Alto’s Adventure, Alto’s Odyssey, has finally arrived for Android users. The endless runner style game is similar to the first game but with new challenges and in a completely different setting. But the beautiful graphics and soundtrack that was enjoyed in the first game is still there in Alto’s Odyssey. Set in a magical desert, the game brings Alto and friends different challenges and obstacles but has the same feel to the first game. There are caves, temples and even banner grinding between hot air balloons in the game so there is enough of a difference to keep you entertained. For hours. After being announced last week, the new Westworld game is now available as a free download in the Play Store. The game, which looks and plays very similar to Fallout Shelter, is set up as a trainee simulator from the Delos corporation, you build up the simulators AI, build hosts and please the guests who are visiting Sweetwater in the game. It plays along the same story lines as the hit television show on HBO. If you have played Fallout Shelter or other similar style games, you will be right at home with Westworld. Back in January, I posted that Microsoft’s Age of Empires Castle Siege would be coming to Android. While it missed the March deadline by a few days, the game is now available for your Android devices in the Play Store. It makes Android the last platform for the mobile-centric game as it released back on iOS in January. For those not familiar with Castle Siege, the game is a top-down tower defense style game where you select a civilization and begin building your empire. The game starts with plenty of step-by-step tutorials so even if you have never played AoE you will get the hang of it pretty quickly. Picking your civilization is important as each one has unique skills or technologies to it over others. If you have played in the past then again, this will feel familiar. A day earlier than expected, Super Mario Run is now available to download and install on your Android devices. The endless runner style game has been exclusive to iOS since it was released in December last year with some 50 million downloads on that platform. With the release of the game on Android, that’s likely to easily double in just a few weeks time. 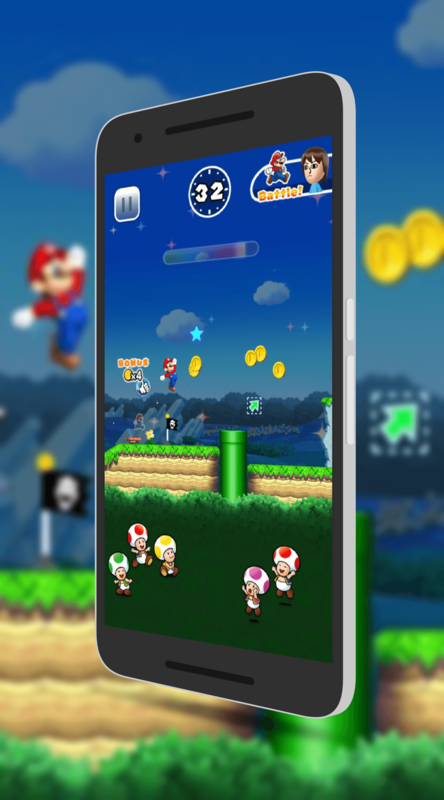 In the game, you are the ever popular Mario and you are doing what you do best: Collecting coins and progressing your way through six worlds in the game. The way gameplay works is that you can only move forward, up or down so no going back to get coins you missed for example. The object of the game is to collect as many coins as you can before get to the flagpole at the end of the level before time runs out. Sound familiar? Oh, and yes you still can save Princess Peach and defeat Bowser too. There are two other game play modes as well to keep you entertained. Mario fans, your wait is almost over. Nintendo has Tweeted that the long awaited Super Mario Run for Android will be released this coming Thursday, March 23rd. The endless runner style game has been exclusive to iOS since it was released in December last year with some 50 million downloads on that platform. With the release of the game on Android, that’s likely to easily double in just a few weeks time. As far as pricing goes, it is likely that for Android it will follow the same model it has on iOS. That is, the game and the first three levels are free and to unlock the remaining three levels, you have a one time in-app purchase of $9.99. This isn’t confirmed but it makes sense that they would keep the pricing structure the same for each platform. One thing that you need to be aware of with Super Mario Run is that it does require that you have an active Internet connection to play. To pre-register for the game, head over to the Play Store and sign up. Once the game is released on the 23rd, you will get notified, can download it and start working your way through the six worlds and 24 levels offered by the unlocked game.